Now that my academic life at the University of Northampton has come to a close, I take this opportunity to reflect on and share my experiences as a research student. In July 2012 the decision to leave my former university and move to the University of Northampton was not an easy one to say the least, especially when as an international student I was required to pass through the rigors of applying for a new study visa and starting my research process afresh. But my first two experiences at Northampton helped overcome my initial apprehensions and concerns to a great deal. The first was my preliminary meeting with Prof Janet Wilson, Dr Victor Ukaegbu, and Dr Jumai Ewu, my potential Director of Studies and supervisors who ensured me of the potential of my research and showed profound insight and knowledge into the field of my study. The second was the highly professional manner in which my move was handled by both the administrative staff and visa department of the UoN. Clare Ellis & Rex cross rabbit. Photo: Learning Materials team at Moulton College. 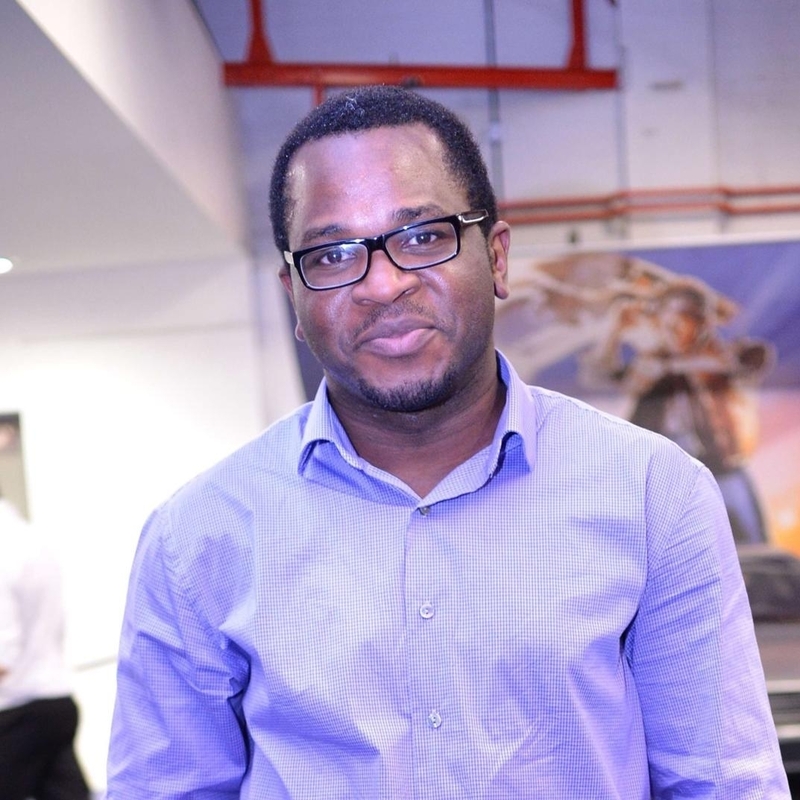 In the first of our ‘featured researcher’ series, Dr Emmanuel Adukwu describes his experiences of being a doctoral researcher and his career highlights. Emmanuel is now working as a Lecturer at UWE in Bristol. I recently completed my PhD in microbiology studying the physiological and genetic characteristics of community acquired infections (CAIs). This was a project funded by the Centre for Health and Wellbeing Research (CHWR) at the University of Northampton, with a grant from the Northamptonshire Primary Care Trust. 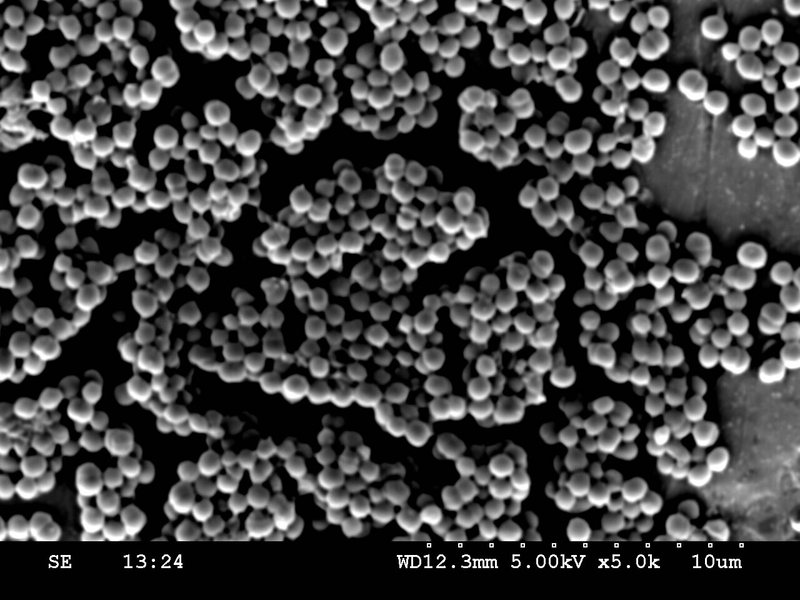 CAIs became newsworthy within the last 20 years following many years combating Healthcare Associated Infections (HAI). CAIs are acquired outside the healthcare setting and have unique risk factors and different antibiotic resistance and genetic characteristics. On 8th May at the Graduate School Annual Poster Competition, Roshni was awarded a runners-up prize of £75 for her poster entitled “A Survey of Upper Limb Neurological Splinting Practice in the UK“. 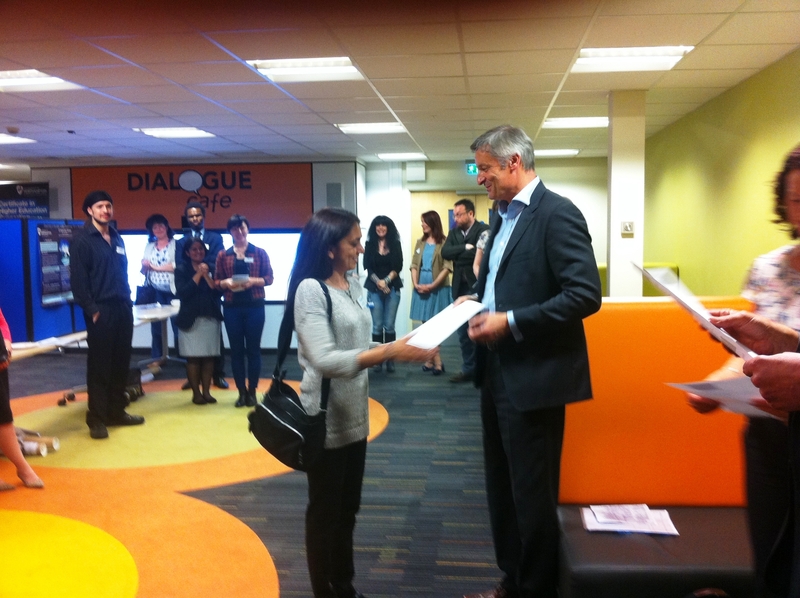 The Vice Chancellor, Professor Nick Petford, presented her prize. The aim of Roshni’s study was to determine the current practice of occupational therapist’s (OT’s) that use splinting for upper limb rehabilitation with stroke survivors. To achieve this a survey was sent to all OT’s who belong to the Specialist section for Neurological Practice (SSNP), working with stroke survivors to determine the nature of their practice. Data collected from the group of participants will serve to determine the devices and techniques used for the assessment and treatment process, as well as the nature of the clinical reasoning process and the factors that influence practice within the current health care climate. 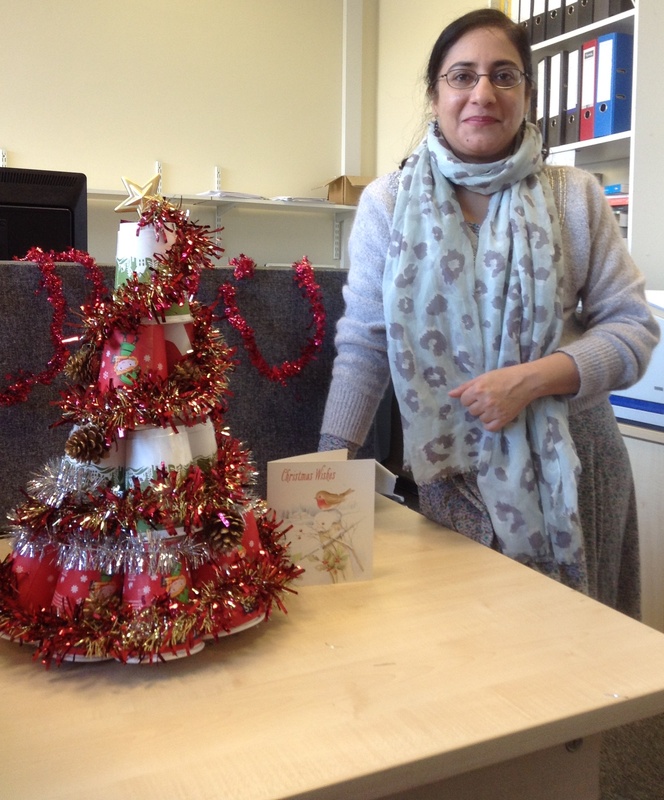 Roshni is a Senior Lecturer in Occupational Therapy and can be contacted at the University of Northampton’s School of Health. On 8th May at the Graduate School Annual Poster Competition, Nutmeg was awarded a runners-up prize of £75 for her poster entitled “The Prevention of Inpatient Violence and Aggression: Patient and Staff Perceptions”. 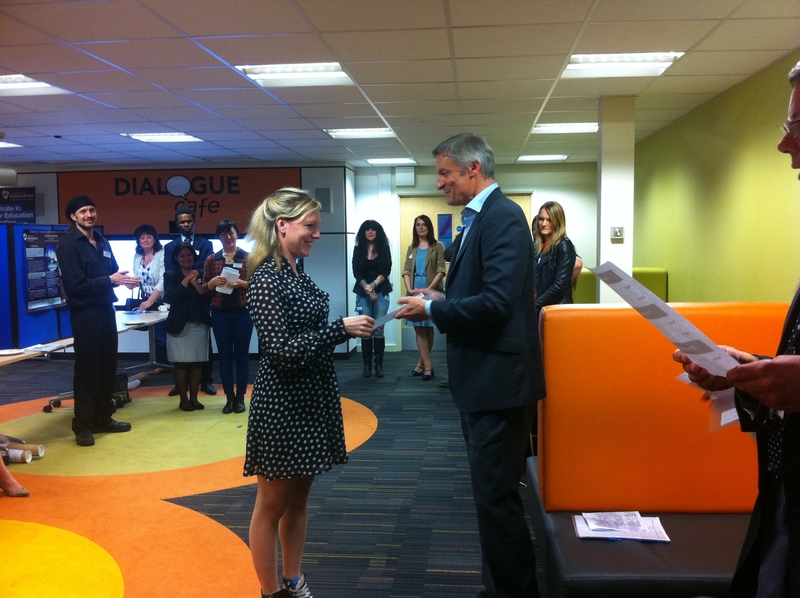 The Vice Chancellor, Professor Nick Petford, presented her prize. 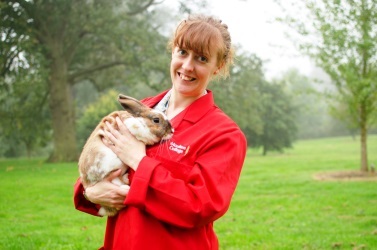 Nutmeg is undertaking a research project, jointly funded by the University of Northampton and St. Andrew’s Healthcare. 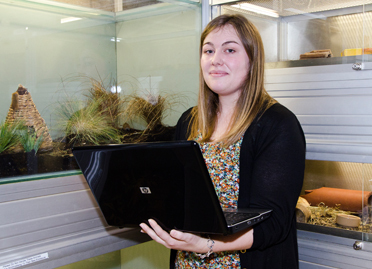 Most of her time is spent at St. Andrew’s, where she is part of the research team. The focus of her research is on the prevention of inpatient violence and aggression. This is of particular interest to her, having spent two years working as a mental health nurse in forensic services, where preventing patient aggression was an important part of the role. Nutmeg can be contacted at the University of Northampton’s School of Health. 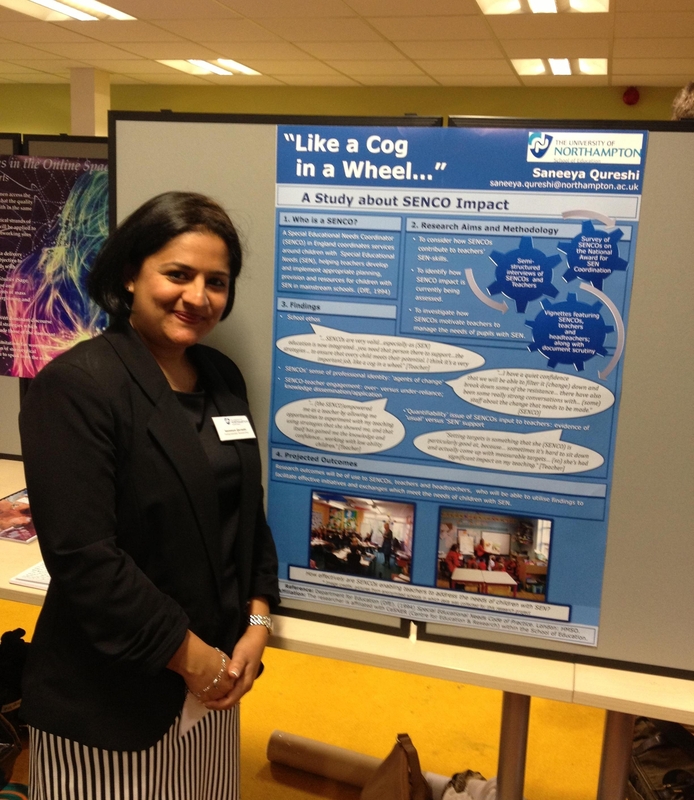 Saneeya Qureshi’s poster, entitled Like a cog in a wheel impressed the judges at our recent Poster competition, scoring 117 points out of a possible 126. 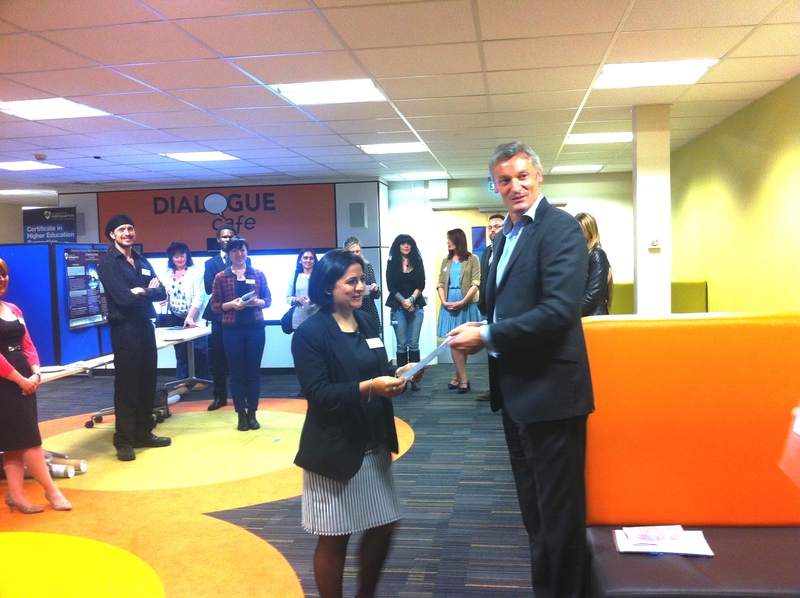 The first prize of £100 was presented by the Vice Chancellor Professor Nick Petford. Saneeya’s research investigates the support provided to teachers with regard to their teaching practices for students who have Special Educational Needs (SEN) in mainstream English primary schools. This support is coordinated by Special Educational Needs Coordinators (SENCOs). The focus of the study is the SENCO-teacher dynamic, and the development and implementation of appropriate provisions for children with SEN. Data gathered through questionnaires and interviews is examined using thematic analysis. Saneeya is based at the Centre for Education and Research (CeSNER), in the School of Education. Her research interests pertain to issues around inclusive education both in the UK and internationally.